Kourtney Kardashian has reportedly been ''going to counselling by herself'' as Scott Disick won't join her. 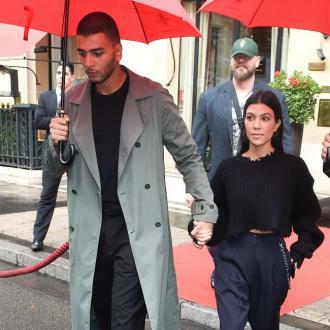 Kourtney Kardashian has been having solo counselling sessions to repair her relationship with Scott Disick - but he won't do the same. The 37-year-old television personality has been trying to work on her relationship with the 33-year-old entrepreneur - with whom she has three kids, Mason, seven, Penelope, four, and Reign, two - but though she has reportedly been making sacrifices to try and make things work, it seems as if Scott isn't putting in the same effort. A source said: ''Kourt has been making sacrifices and refraining from business opportunities which would take her away from the children. ''She has also been going to counselling by herself regularly, something she wished Scott would do too. Meanwhile Scott is present for a week or month, on good behaviour, only to routinely disappear the next. 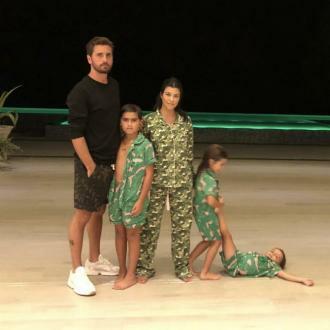 And despite Scott's absence, the 'Keeping Up With the Kardashians' star is determined to make sure their children are ''happy'' and ''well-adjusted''. The news comes after it was recently reported Scott had returned to his partying ways - which were previously cited as the reason for his split from Kourtney - at the Sundance Film Festival. A source said: ''He had a pretty wild party back at his house, where lots of girls were in his hot tub. And Scott's return to partying is likely to have been a major disappointment to Kourtney as it was previously claimed he was determined to be on his ''best behaviour'' to prove he'd changed and win back his former partner.